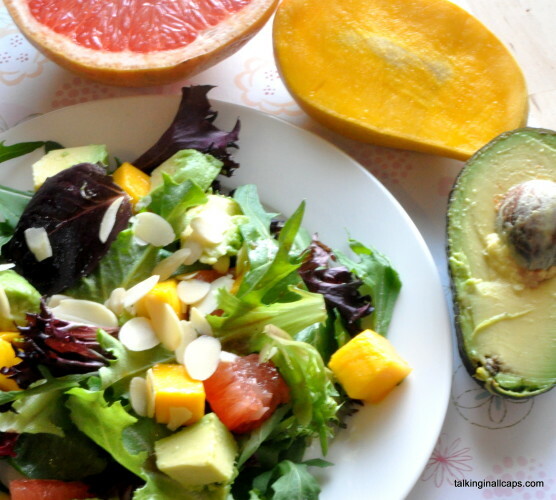 This is a refreshing spring salad that provides some excellent nutrients, while satiating hunger pangs—making it a favorite of those on a diet or following easy weight loss programs. The good thing about salad recipes is that you can add in any of your favorite fruits and vegetables to give it your own tasty spin, and make up your own dressing as well. Avocados are rich in monounsaturated fat, which is easily converted to energy, and the omega-3 fatty acids that help satiate our appetite for hours on end—making them an ideal food for easy weight loss programs, in moderation, of course. Avocados are also loaded with potassium, fiber, vitamin E, folic acids and several B vitamins, yet low in fructose, so they don’t cause any spikes in blood sugar. Chicken is highly recommended as a source of lean protein, and mangoes boast high levels of vitamin A, as well as tartaric acid, malic acid and citric acid, which together help maintain the body’s alkali reserve. In addition, mangoes are packed with fiber, pectin and vitamin C, which results in lower levels of LDL, aka “bad”, cholesterol. This recipe is easy to prepare and packed with flavor. Serve it with a dressing made from extra virgin olive oil and aged balsamic vinegar or one of your favorite vinaigrette dressings. Toss the chicken, avocado, mango, cucumber and scallions together. Fill a large salad bowl with baby spinach or baby butter lettuce greens. Top with chicken, avocado, cucumbers and scallions. Whisk together a vinaigrette of your choice and toss it with the salad, drizzling a teaspoon or two over the top. Add the Himalayan sea salt and pepper to taste.